The figures are almost finished now. Yesterday I applied the base color of the boots, details and shading are still to be done. 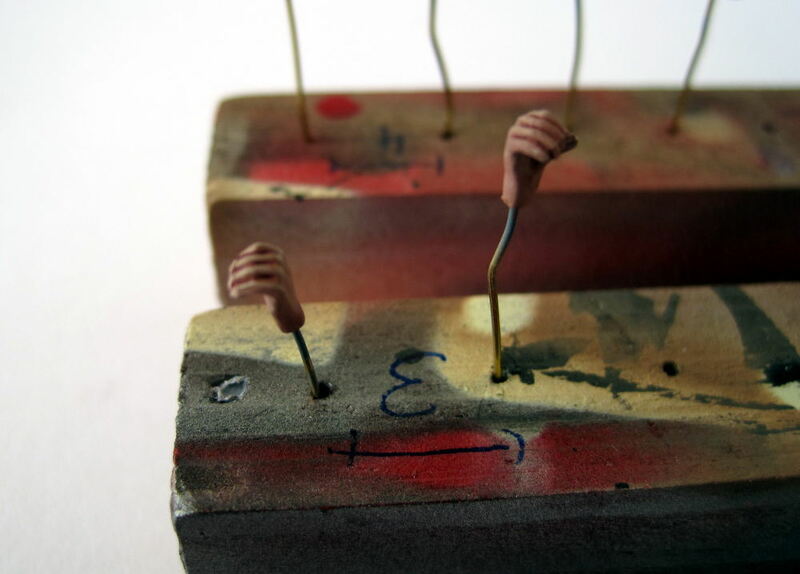 I will also try to add dust and dirt to the figures. The books deal with painting and weathering of tank models. The layout is very nice and artistic, and they convey a lot of useful information, and also feature many very informative pictures. Overall the books are clearly recommendable and very inspiring. 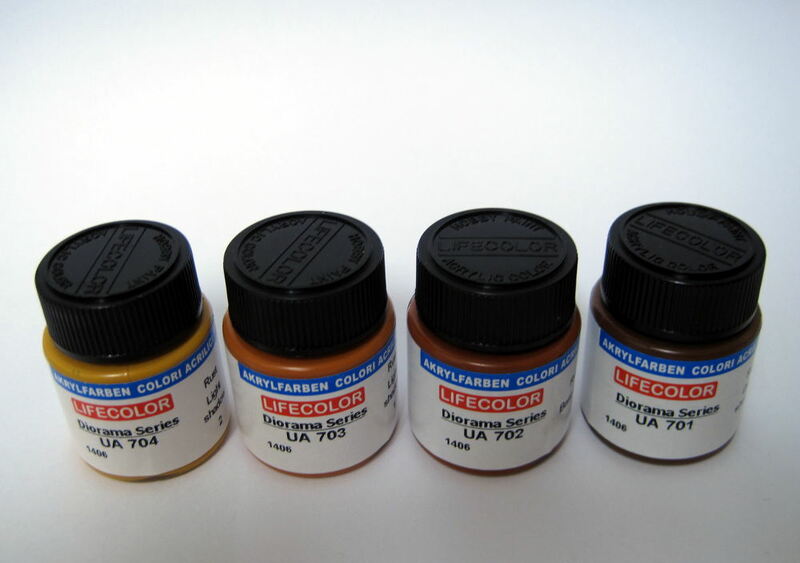 After reading the books I immediately increased my stock of oils and pigments, and also went for the Lifecolor rust set. I also rediscovered a drying retarter for acrylics I bought some time ago. I will experiment a bit with the new products to enhance the look of my current project. The first thing to test will be the rust colors, then I will try to work with the drying retarder. 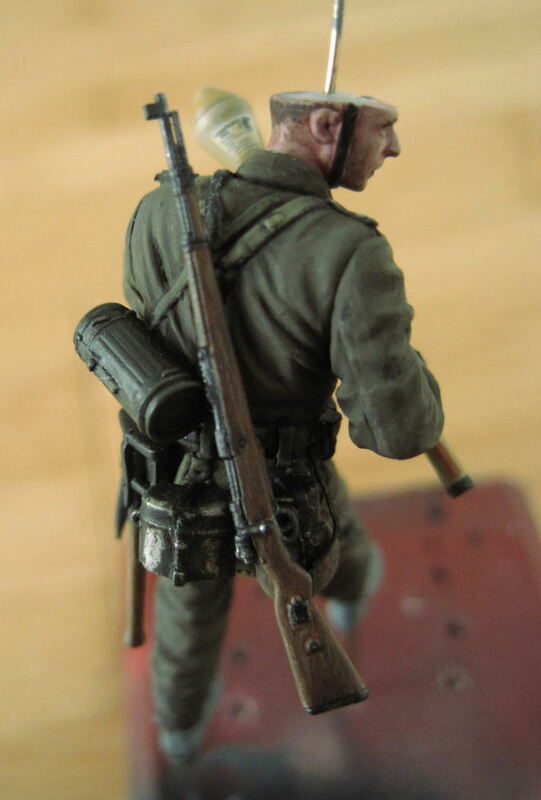 I use a mixture of Vallejo US Olive Drab (889) and English Uniform (921) for painting German Felduniform 44. The original color is slightly more brownish, but I am happy with the color I use. 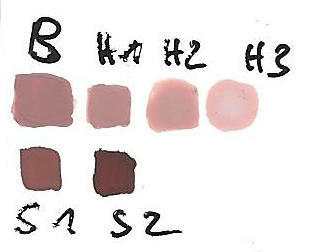 C is mixed from 921 and 830, D from 921 and German Cam Black Brown (822). Both look very similar, but I think both are too bright. F is mixed from 921 and 924. 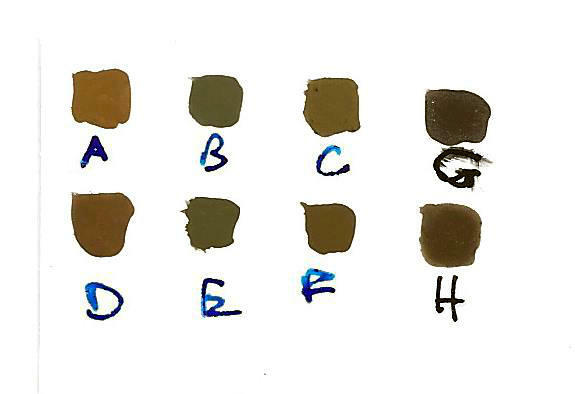 I use color H, mixed from 889 and 921.